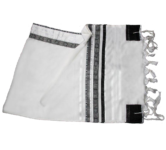 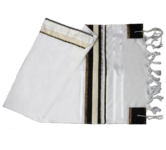 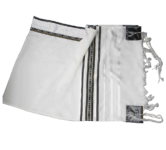 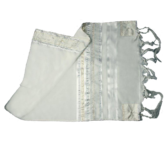 This tallit shawl, its matching bag and kippa have been created by talented Israli manufacturers for being worn by Jewish women on the most festive occasions. 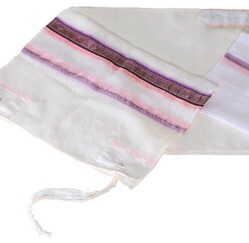 The decorative motifs and the stripes use the burgundy color, which evokes the wine – symbol of joy and wealth which features any Jewish festive meal. 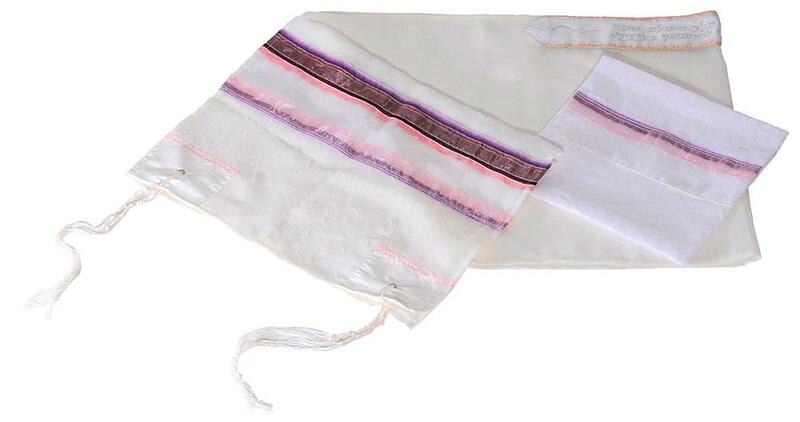 A very feminine touch is provided by the fabric – silk – and by the pink narrow edges of the wider burgundy stripes, which stand out on the immaculate white background.